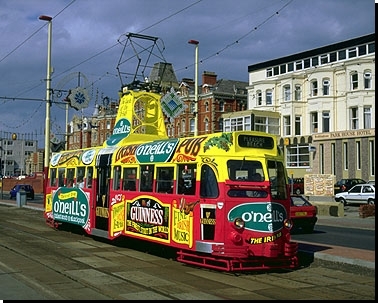 Over the years Blackpool Transport hired out their fleet as large travelling billboards, running various advertisements for local and national businesses. 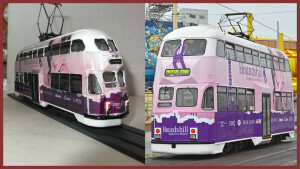 Some of these achieved almost cult status and now, for the first time, East Lancs Model Tramway supplies are able to offer several of these for sale, each one faithfully recreated from the original Blackpool Transport Martketing Dept. designs. 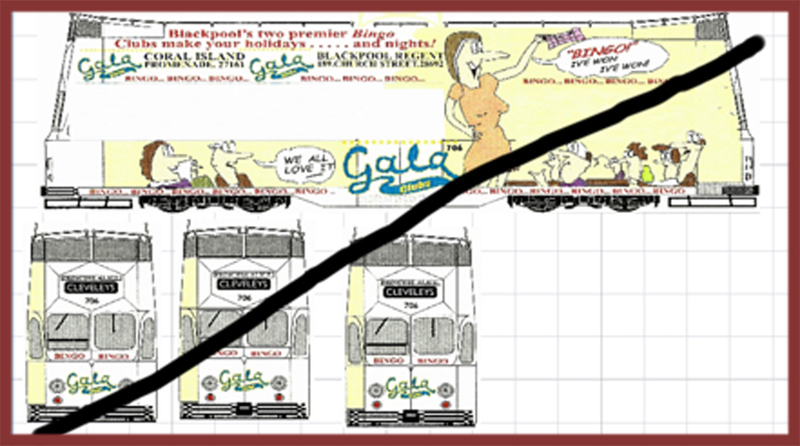 Please note – All designs shown are in low resolution for copyright reasons. 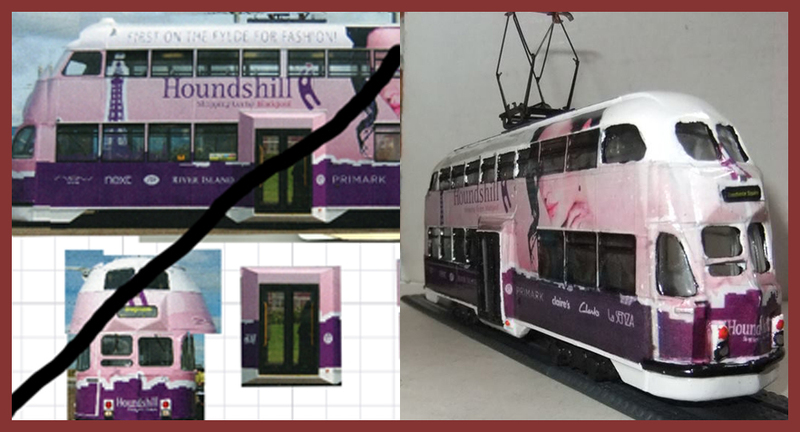 Currently the following designs are available in OO scale. 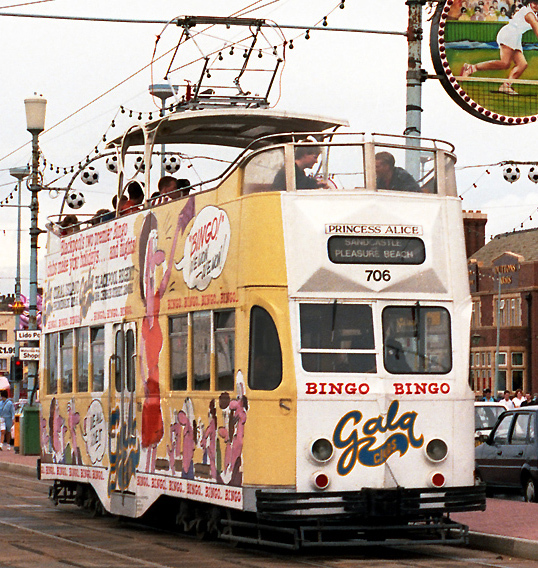 A predominantly grey livery shared by three entertainment venues in Blackpool and worn by Brush Railcoach 623. Another brush car, another all over advertisement. 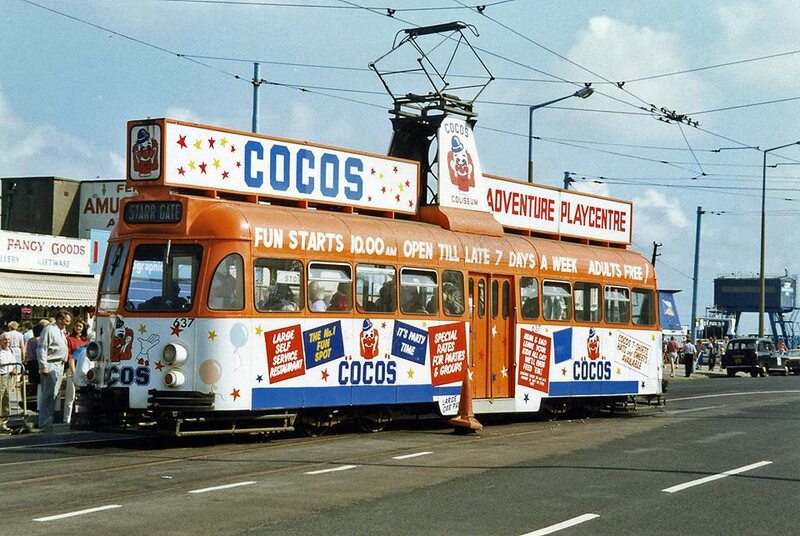 Tram 637 was selected to carry this bright advertisement for the Blackpool attraction “Cocos Adventure Playcentre” near the Coliseum Coach Station. Ex-Towing car 678 carried this all-over advertisement for this national Automotive magazine. 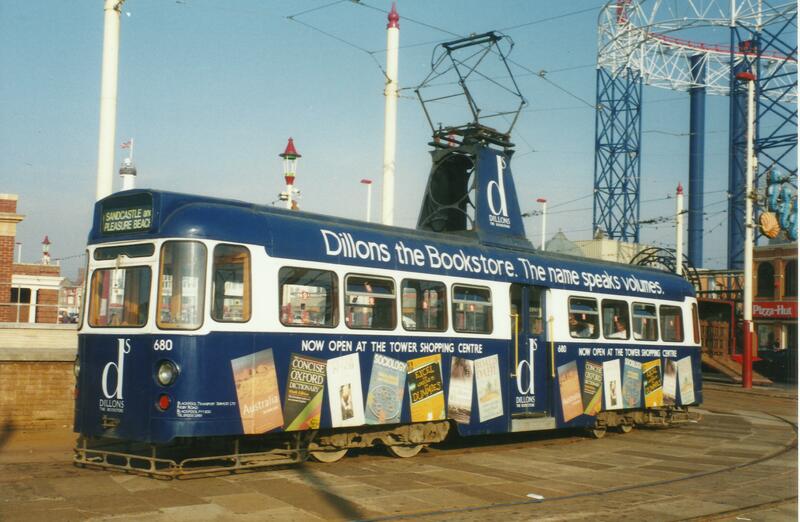 Dillons was a bookshop that traded up until 1999. 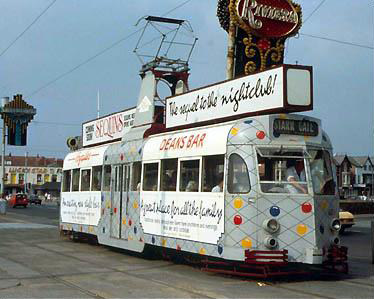 At one time this fetching blue advert was carried on ex-Towing Car 680. 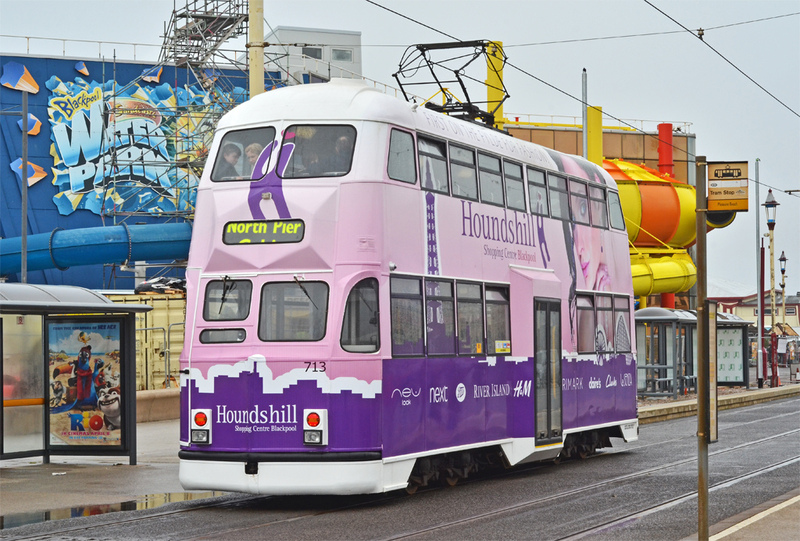 The Hounds Hill Shopping Centre is located behind the tower in the middle of Blackpool. Widened “B-Fleet” Balloon 713 still carries this predominantly pink advert for the retail centre.